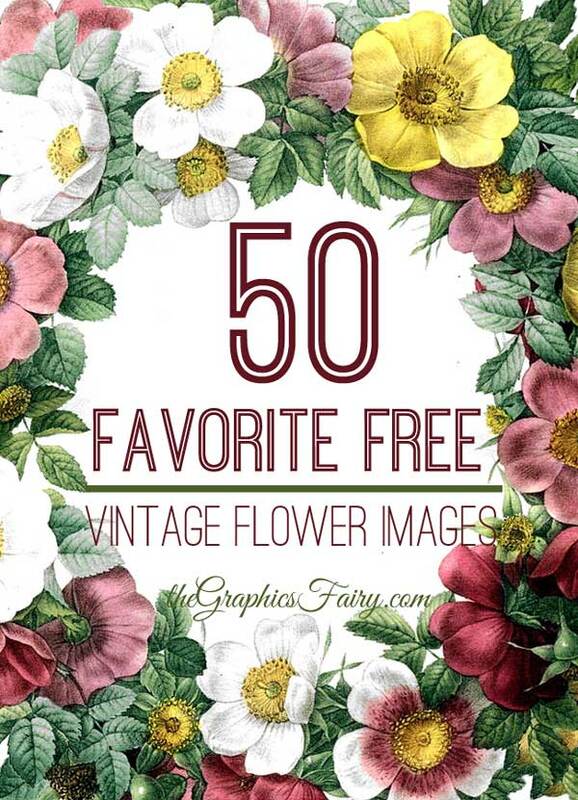 This is a cute Vintage Fairy Statue Image! 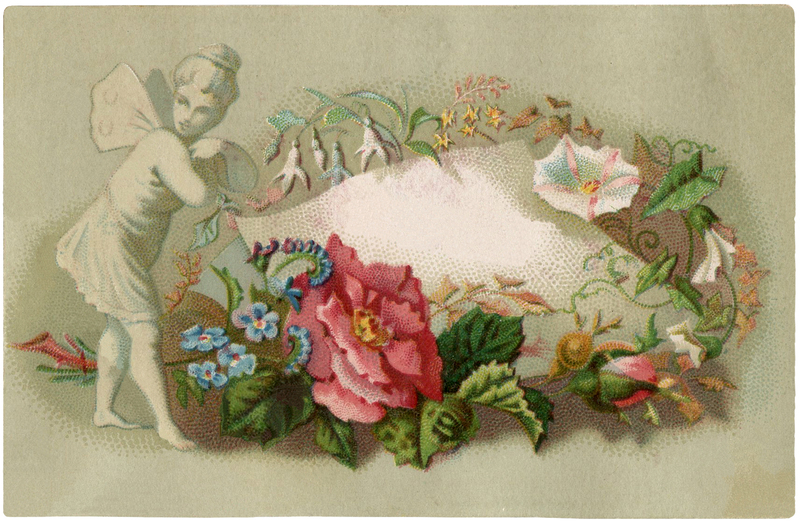 Shown here is a card with some lovely Flowers, along with a Marble Fairy statue. The blank area is perfect for adding some text to use as a label or Gift Tag! 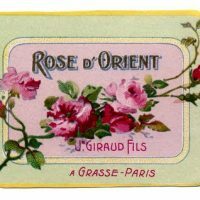 Vintage Graphic – French Soap or Perfume Label – Rose Beehive & Bird Romantic Feathers and Roses Image! 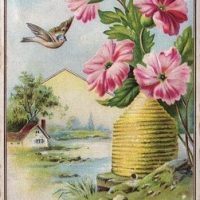 « Vintage Hair Tonic Image!